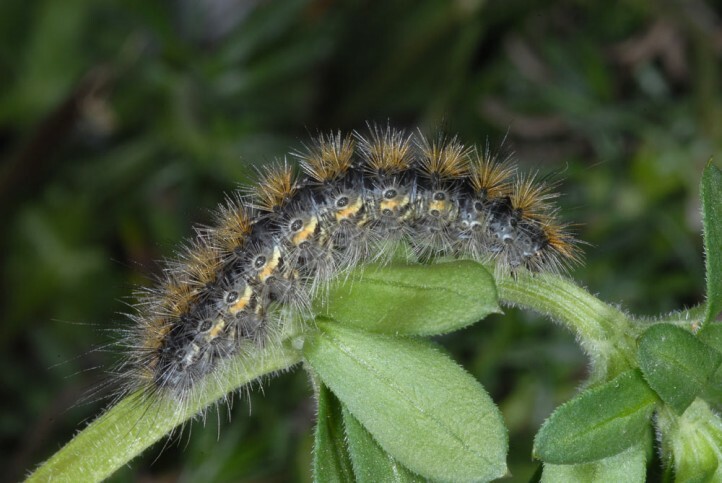 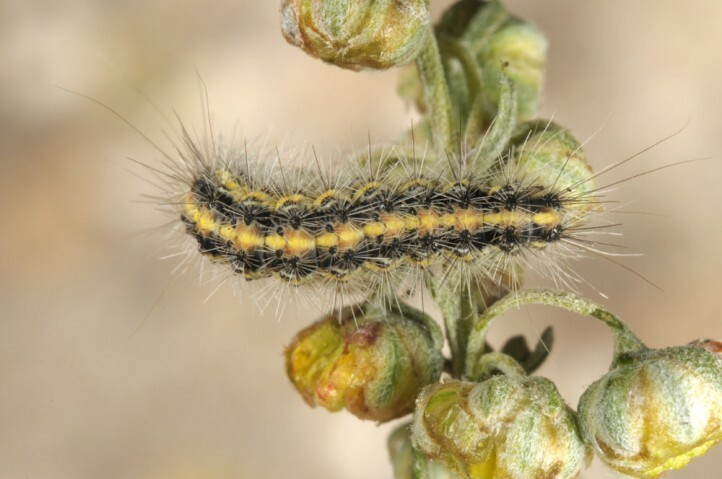 The species is polyphagous, but the caterpillars are often found on Galium sp. 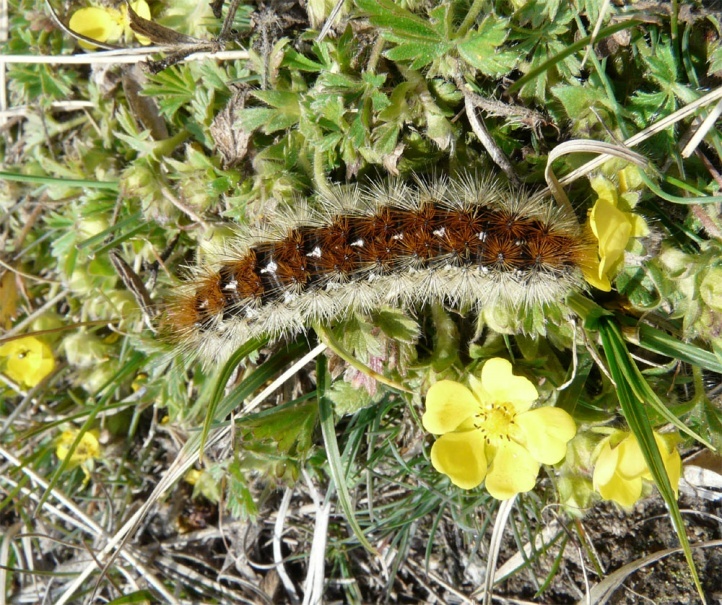 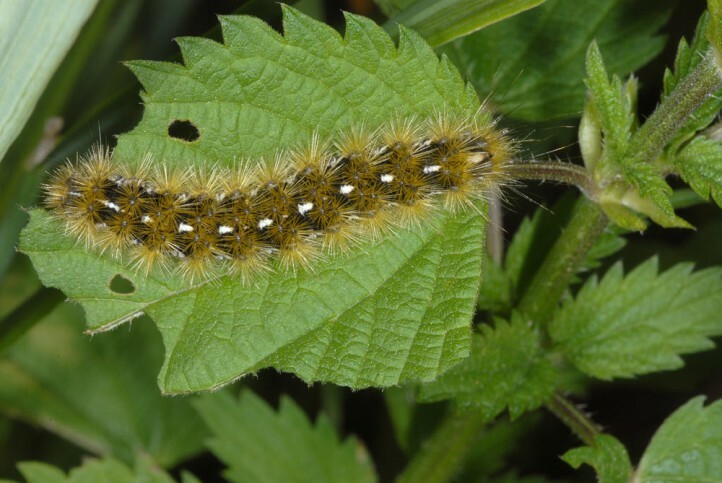 In Valais, I found many already mature caterpillars in late April in bright sunshine feeding on Potentilla pusilla and Onobrychis. 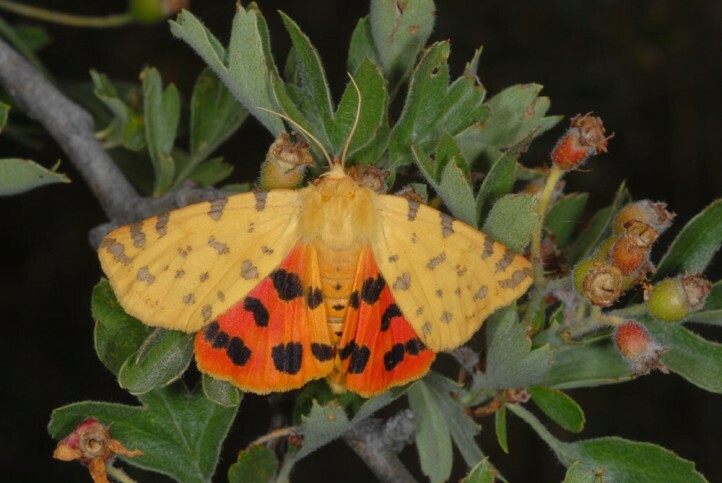 Rhyparia purpurata inhabits dry nutrient-poor grasslands with higher and denser growing parts, occasionally also wet fens, grassy and herb-rich places in open forests or moorlands. 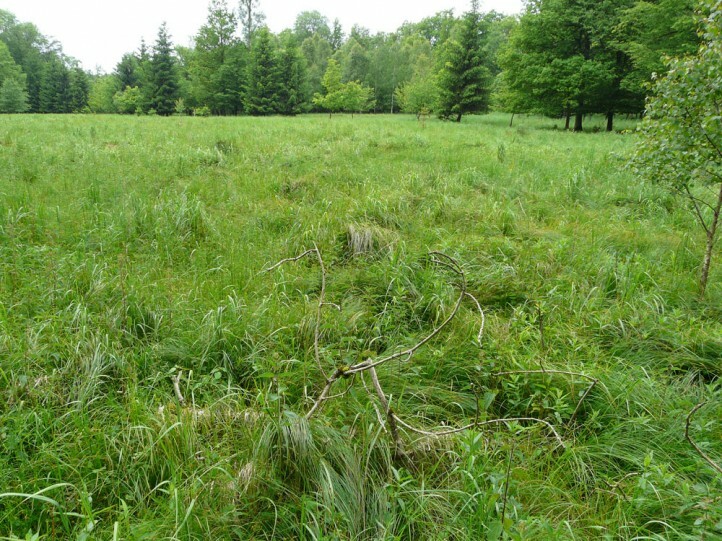 Important are not too nutrient-rich, but anyway higher growing sections, often interspersed with nutrient-poor places with partly bare ground. 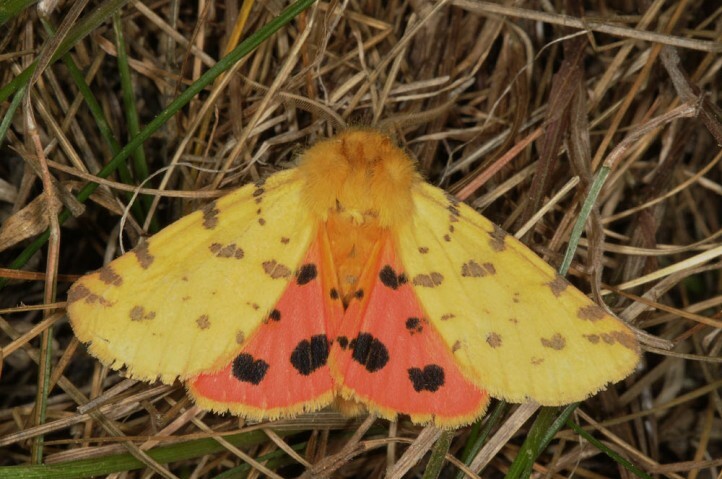 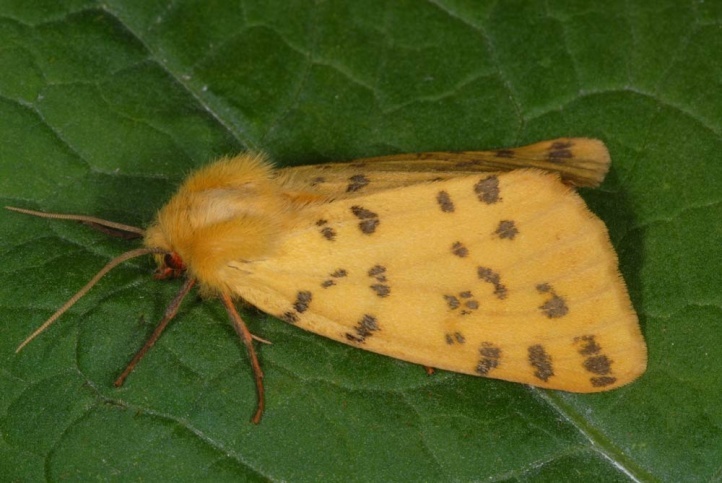 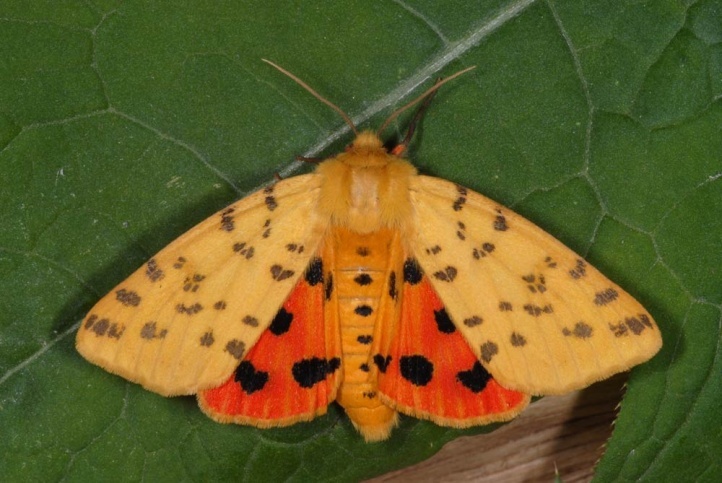 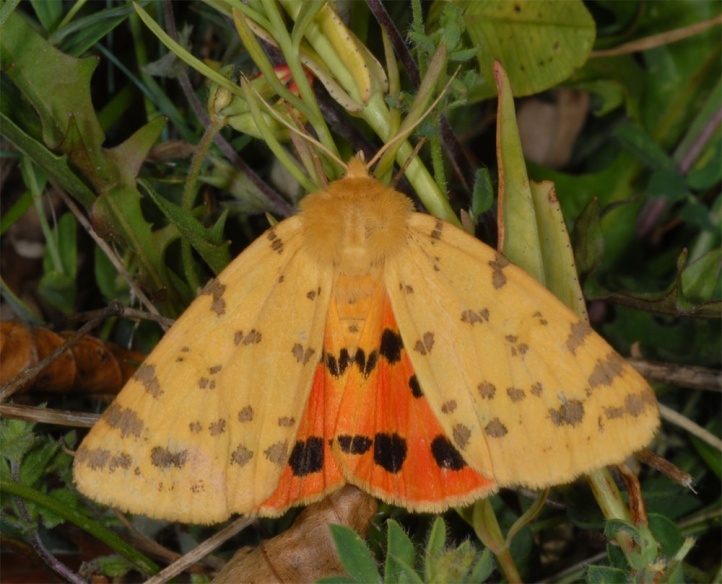 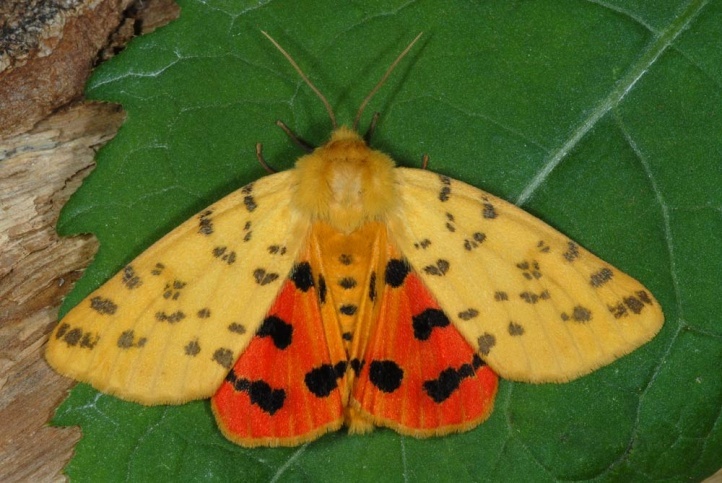 In Central Europe Rhyparia purpurata has become rather rare. 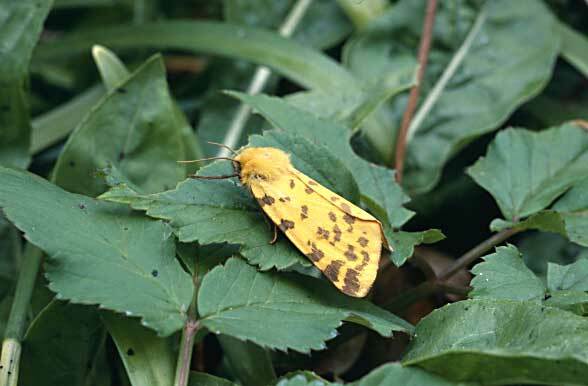 The moth is found, however, for example in the Southern Alps and in Provence still quite commonly. 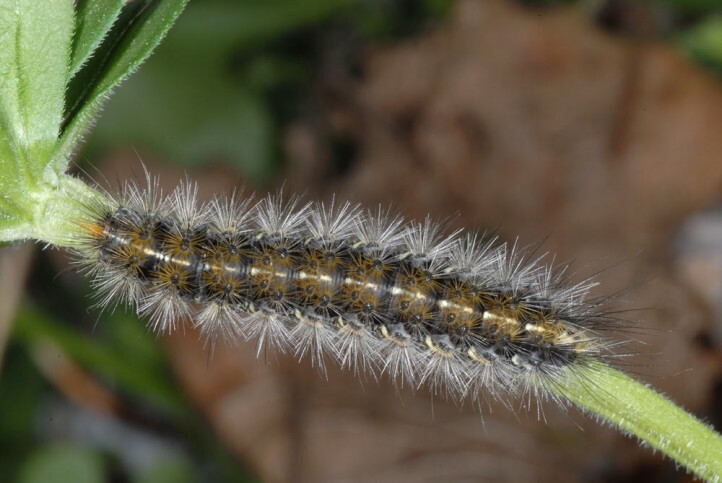 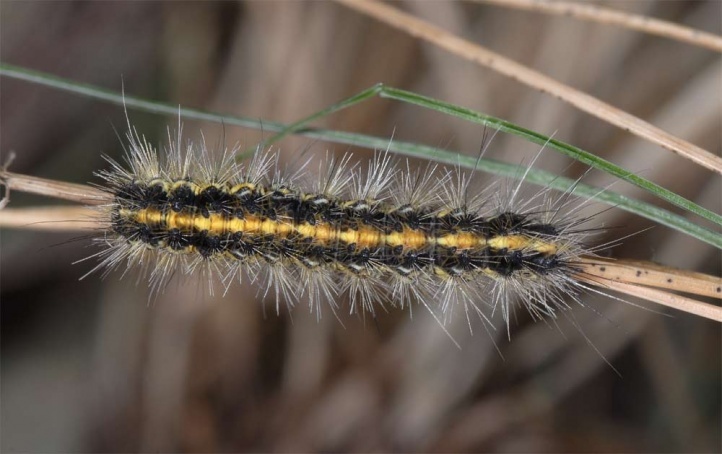 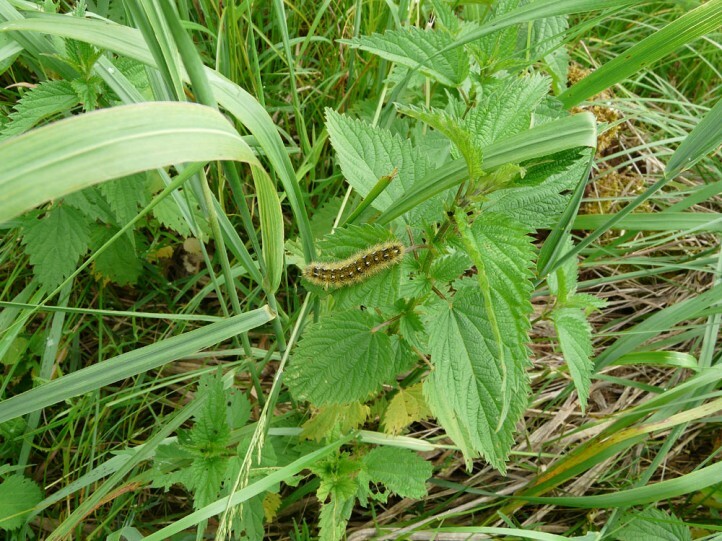 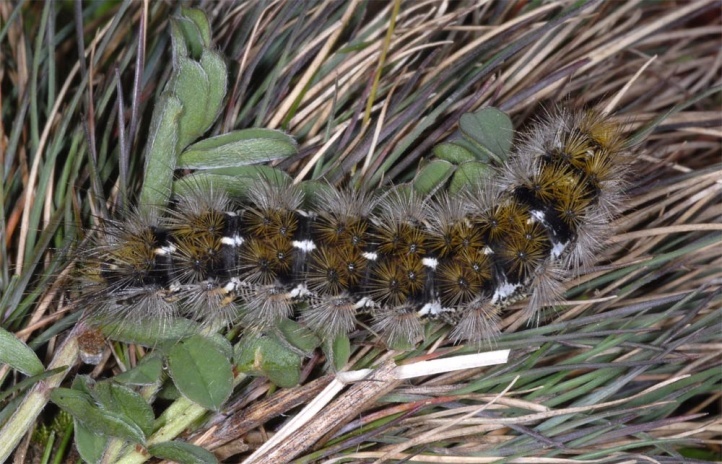 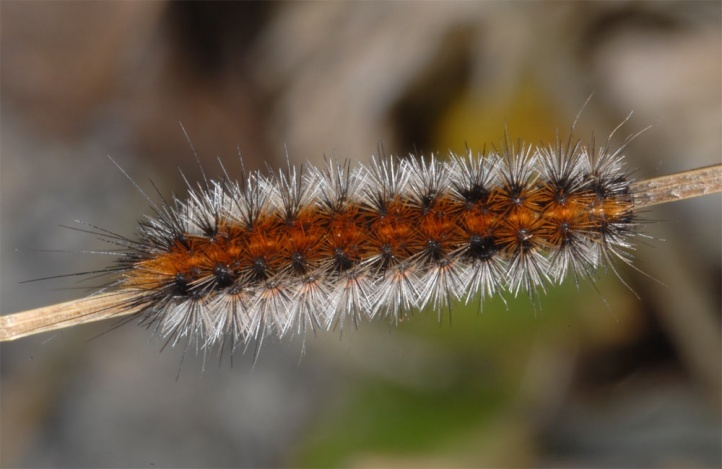 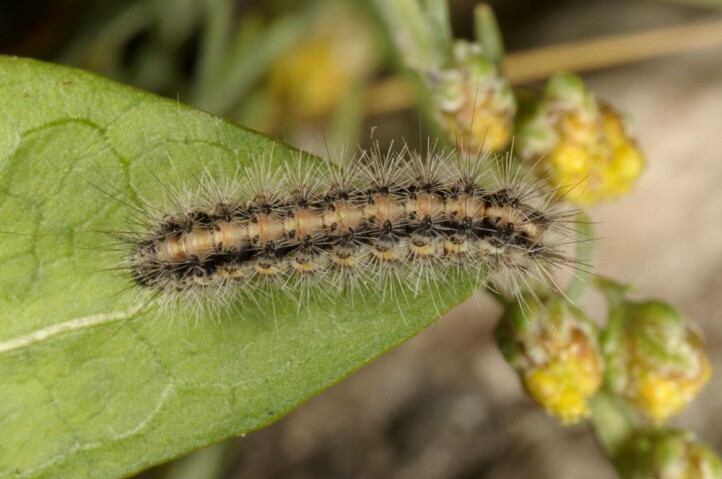 I found numerous caterpillars from April to late May throughout the Susa Valley (Piedmont, Italy) in sometimes rocky grasslands from 400m above sea level up to 1500m. 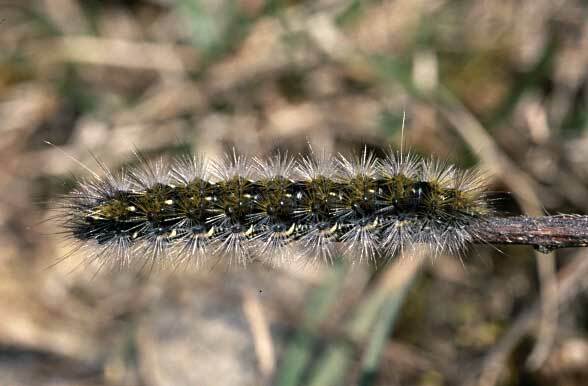 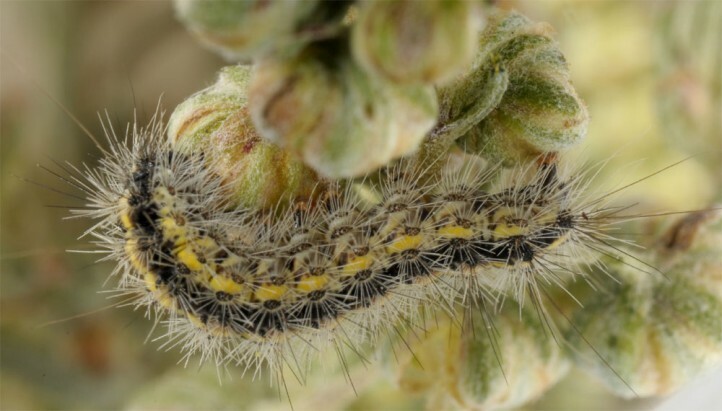 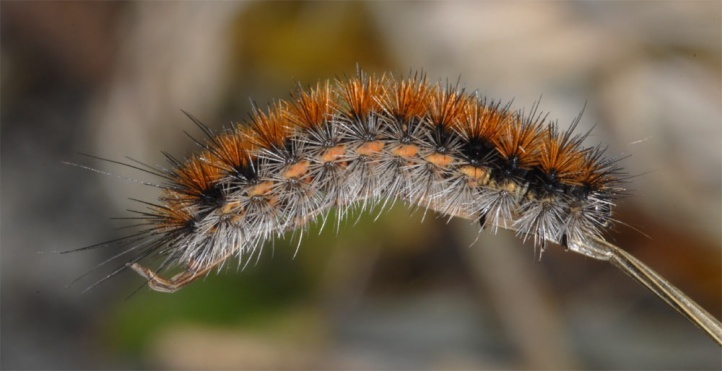 The caterpillar overwinters small and is mature in late May/early June, in very warm microclimate already in the end of April (Valais: Rhone Valley). 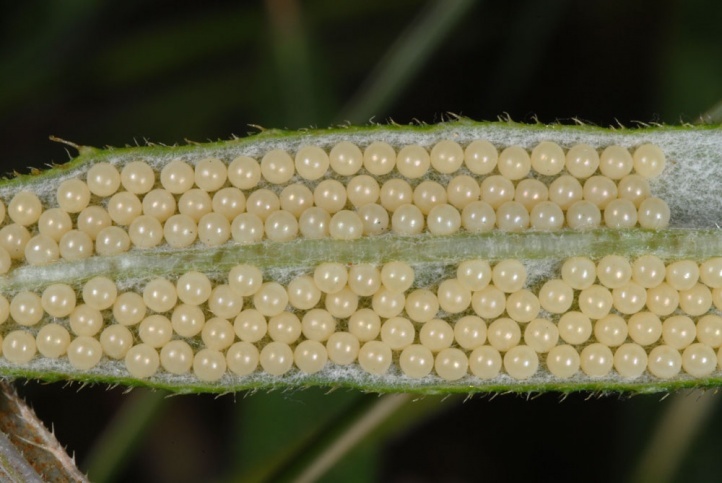 In the fall and early spring, they are very conspicuous, because resting often elevated on stems and blades. 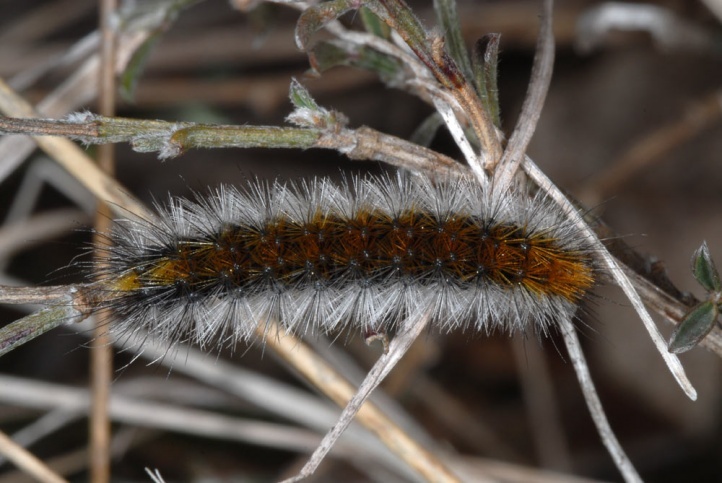 When fully-grown, they live again more near the ground. 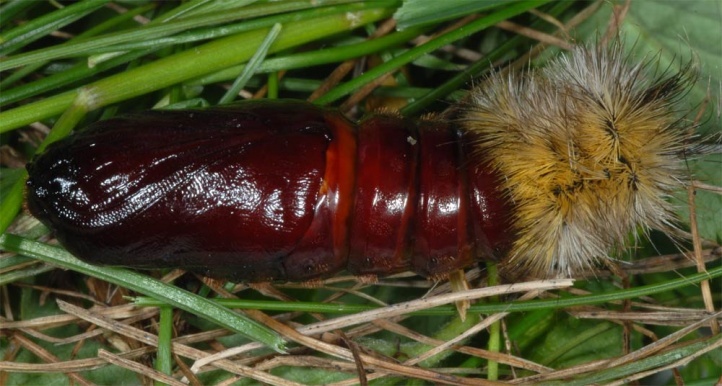 Pupation takes place partly under flat stones (several observations in the Valais, partly together with Arctia villica), and partly also in clumps of grass, etc. 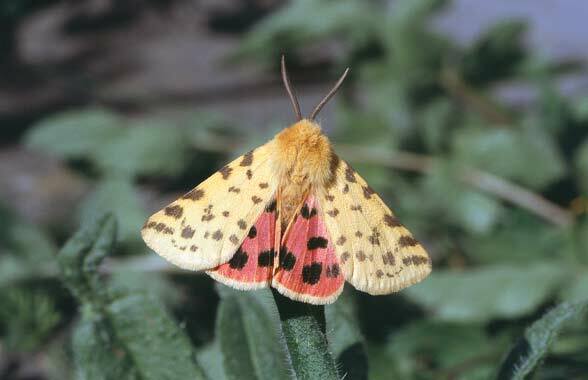 The moths fly in June/July. 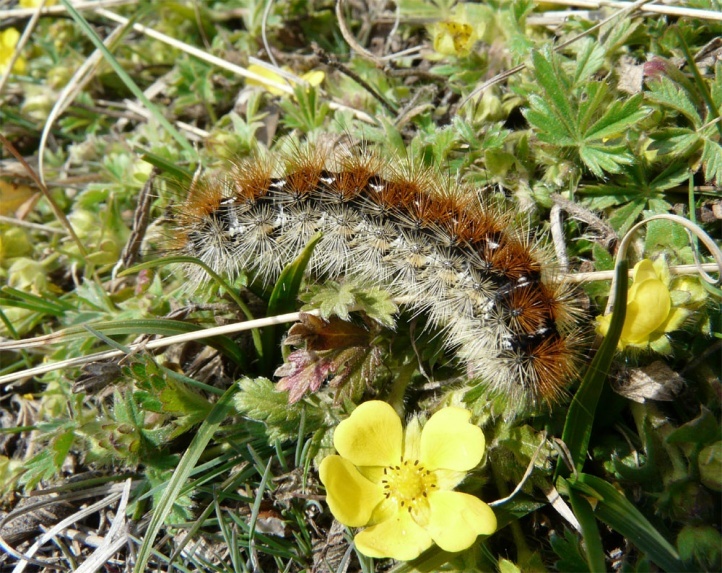 Habitat loss endangers the remaining populations north of the Alps more and more, so that in the long term you can expect a similar fate with this species that is so far not threatened with extinction as in Pericallia matronula or Arctia festiva. 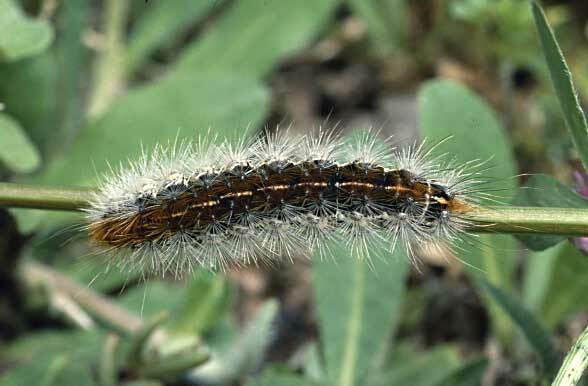 For this species, it is important, as with many others, not to graze too intense (no pens) and also to prevent excessive encroachment. 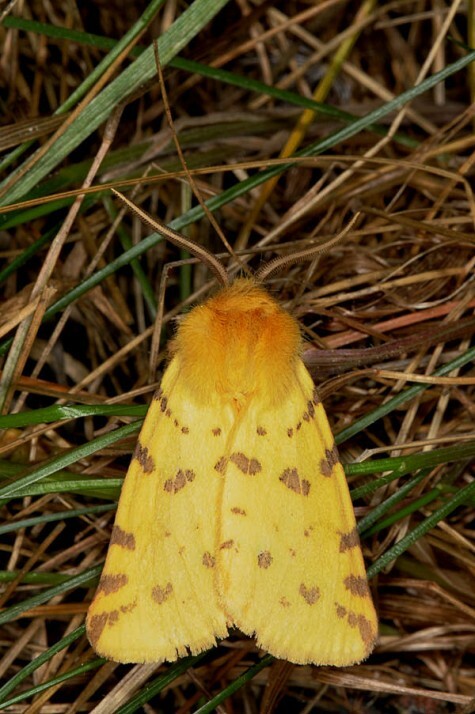 Additionally, it also does not appear to tolerate mowing. 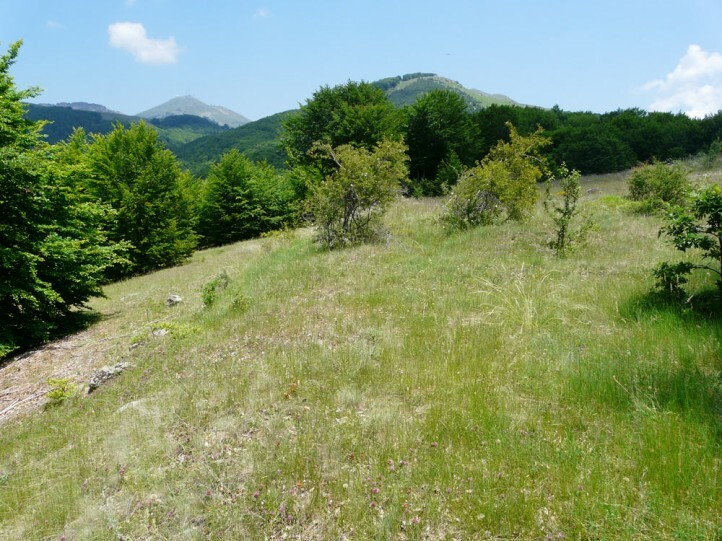 Better is a mosaic of unused land and extensively grazed or mown shares. 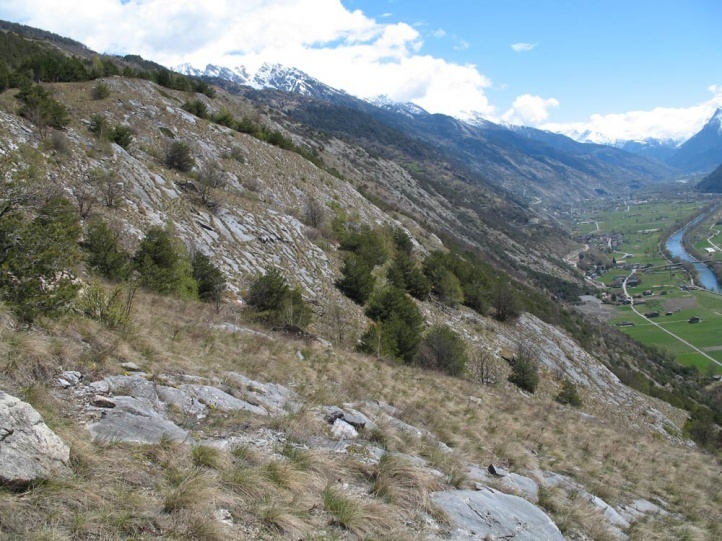 South of the main ridge of the Alps Rhyparia purpurata is still quite common and not so endangered. 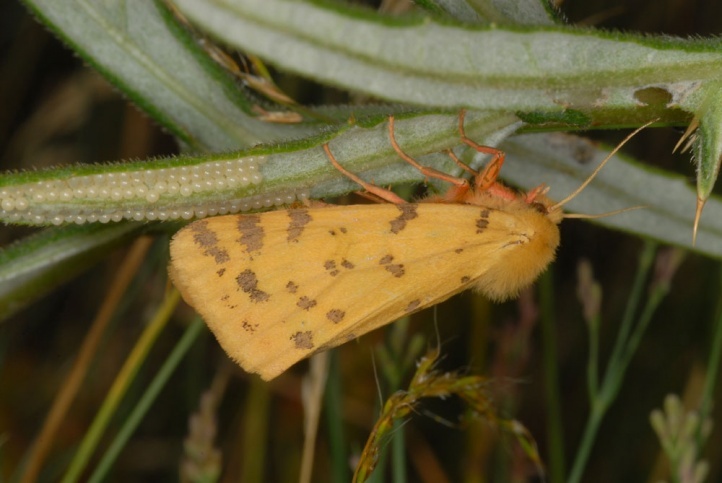 Rhyparia purpurata is widely distributed in Europe, but is missing in the far north and on the British Isles.